Dream leaf has been the latest buzz in the world of lucid dreaming and this advanced lucid dreaming supplement has been highly praised by the people who have tried it. But what is it actually? Is it really that good? Is it safe? What type of experience people have had with these capsules? I will be answering all these questions in this review. Apart from the natural lucid dream inducing foods, I have never preferred taking anything to have conscious dreams, not just because of the health risks associated with the supplements but for the sake of good sleeps. I know that such things causes a lot of disturbance in the regular sleep patterns which can make you go through multiple false awakening loops or repeated occurrence of sleep paralysis, if you understand what I am talking about here, then you know that this could be worse than your most terrifying nightmares. To me, more important than lucid dreaming were peaceful sleeps, so I took the straight path and I succeeded. It took time, but it made me better at this skill than those who take the shortcuts. Being an experienced lucid dreamer doesn’t ensure that you will be able to induce a lucid dream frequently, so the sudden popularity that the dream leaf has gained made me to try it out, and here I am going to speak from my experience which will be equally helpful for both beginners and experts to make their decision. What Dream Leaf Is All About? You will get two types of pills in the box, blue colored pills and the red colored ones, like what Morpheus offers to Neo in the movie the Matrix. These pills contain 5 super effective herbs that can stimulate the parts of your brain which becomes active when you have those vivid conscious dreams. The blue pill is supposed to be taken when you go to bed and about four hours later you must take the red pill in order to make the maximum use of this product. There is also an alternate method if you don’t want to wake up in the night where you take the red pill 4 hours before sleeping and you take the blue pill just before going to bed the next day. Mugwort – This herb is a very well known one as many lucid dreamers have been using it for a very long time. The effect of this herb is increased vividness of the dreams which gives a great advantage to you since you will be able to have dreams that are pretty much real like. Alpha GPC – To have a lucid dream it requires you to gain the level of consciousness in the dream world as in the waking life, and it is only possible when your rational mind becomes active while you are asleep. Alpha GPC causes the waking up of your logical brain part which in turn induces a lucid dream. 5-HTP – One of the biggest complaints of the lucid dreamers is their inability to maintain a lucid dream for a long time and I am well aware that it is a very difficult task. This particular content of this supplement causes an increase in the amount of certain chemicals in the brain that are responsible for the REM cycle of your sleep, which is the phase where one has dreams; as a result you will have long conscious dreams allowing you to enjoy your dreams to the fullest. Huperzine-A – The prime reason why we are not conscious while dreaming is because we forget most of our regular conscious memories while dreaming, Huperzine-A will help you to have lucid dreams because it causes you to gain awareness of your true reality. Choline – This boosts up the effects of Huperzine-A. People who complain that they don’t get dreams will start having dreams due to this ingredient of the pill because it helps one to remember his dreams clearly. One feels that he doesn’t get dreams because of his weak dream recall ability and many a times we miss our awesome lucid dreams because we lose that memory even before we are fully awake, so both these herbs will make your dream memories strong as the real ones. The main purpose of the dream herb is to tweak your sleep cycle in a way that you get a large continues REM cycle rather than the usual short ones. People have reported different stories with the dream herb, but as far as I have known no one has complained of having no effect on their sleep or dreams after taking these pills. 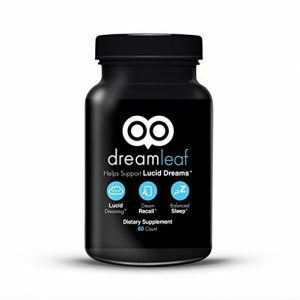 A lot of people have had lucid dreams by taking these pills, the success rate is greater for the regular lucid dreamers, however many beginners have also had their first lucid dream because of dream leaf. Deep Sleep – Many people have talked about deep rejuvenating sleep, especially in the first 4 hour after taking the blue pill, such sleeps have felt like a complete 12 hour sleep to them and that’s due to the lengthening of the deep sleep phase of natural sleep patterns caused by these herbs. Interesting Dreams – Taking these pills definitely results into some kind of strangeness in one’s dreams, people have reported of having weird dreams that felt very real. 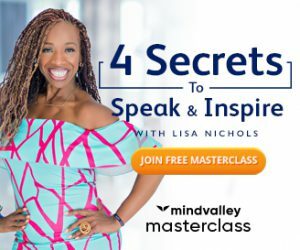 Nightmares – If you can’t stand nightmares then be careful because along with the strange dreams we discussed above most people have also had terrifying nightmares and since the dreams become more vivid it could scare the hell out of you. Sleep Paralysis – Again, I would like to warn you if sleep paralysis makes your life difficult, then this stuff is not for you because the pills have made many people to experience frequent scary sleep paralysis. Long Vivid Dreams – Users have loved this product because it has helped them to have long dreams, being a lucid dreamer I understand how badly one wants this to happen. Dream Recall – Dreamers have praised this product mostly due to their increased dream recall ability after using it, since recalling dreams is what helps one to induce lucid dream frequently. This also makes one’s dreams very much similar to the real life memories. You can’t induce a lucid dream every night, but dream leaf helps you to increase the probability of conscious dreams. 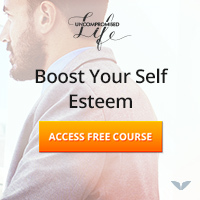 Many people have not had any success with this lucid dream supplement, however a lot of beginners have had their first lucid dream the very first night after taking these pills. Apart from what I have talked in the above points, there is not much known harmful effects associated with dream leaf but I would still insist that you consult your physician before trying it out because you never know what might not suit your body, there are chances that such supplements could mess up with your mind and sleeps that’s why I always prefer the natural way. The capsules are easy to swallow, but they smelled a little weird. Like many people, I had pretty good sleeps in the first four hours and experienced a lot of interesting dreams in the latter phase. I experienced sleep paralysis and false awakenings multiple times, but since I am able to turn them into a lucid dream it became an advantage. I once had a very long vivid lucid dream after taking the pills, which I won’t forget ever, it was when I went to sleep after taking the red pill and I remember the dream in complete detail. In that dream I was able to do some dream tasks that I have been planning for a very long time. I kept losing and gaining my lucidity many a times while dreaming, but I was able to write the whole story in my dream journal. I would again say that I don’t encourage my readers to take the herbs for lucid dreaming, but yes this one works pretty well. You can buy dream leaf from amazon. What Is the Best Lucid Dreaming Technique?